Are you hosting a local event that you'd like to share with us? Email us at alison.wenger@lfgf.org and we'll help you spread the word. The Lauren's First and Goal Football Camps are open to high school students entering grades nine through 12 in fall 2014. It is a one-day, non-contact camp where participants receive offensive and defensive instruction from volunteer college coaches from across the country. Online registration for the camps is now available on our camp page. 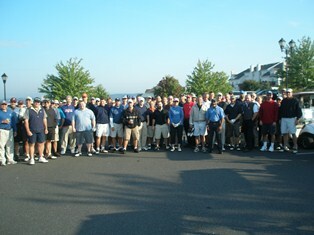 Ed Adamko hosts a golf outing every fall to benefit LFG. Stay tuned for details on this year's event!